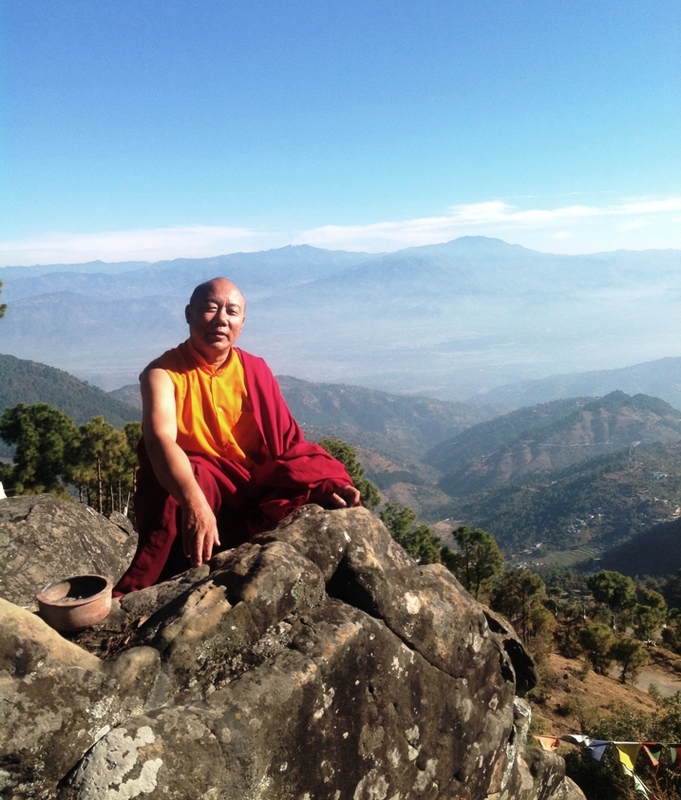 As you may already be aware, Lama went on a short retreat to India late in 2012. We thought it might be good to share a few pictures from that trip. I offer my apologies for the delay in publishing these images, but hope that you enjoy them anyway. 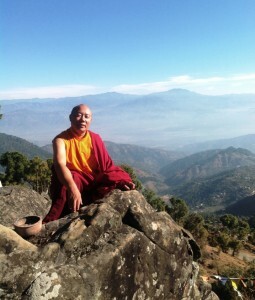 This first image was taken in the hills near Lama’s retreat cave at Tso Pema. Tso Pema is famous as being one of the places associated with the life of Guru Rinpoche (Padmasambhava). Padmasambhava is a highly respected figure in Tibetan Buddhism. He established the first monastery in Tibet which is known as Samye. 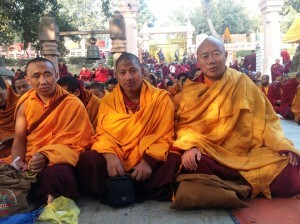 This second picture was taken at Bodhgaya. At the time that this picture was taken the Dalai Lama was teaching from Shantideva’s “The Way of the Bodhisattva”. The Dalai Lama is an excellent Lama and Lama Lhakpa Yeshe was very happy to have the opportunity to attend these teachings. 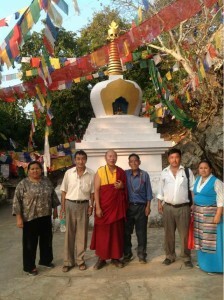 He also took the opportunity to receive the Bodhisattva Vow from His Holiness. Lama tends to make friends wherever he goes and India was to be no exception. Here is a photo of some Tibetan people that Lama met on his travels. 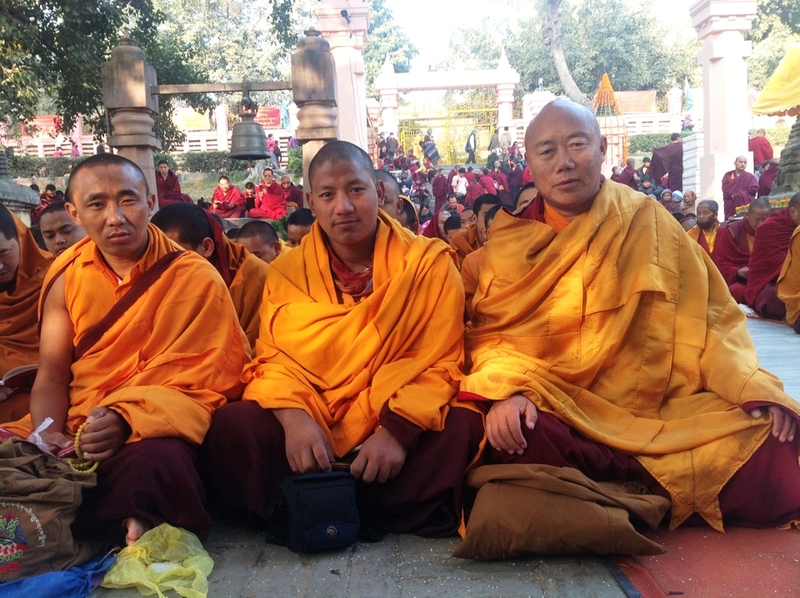 They are good hearted people that he is happy to call Dharma friends.